The holidays are typically a time to reflect on the year that was and look ahead to the coming year. This past year has been fantastic for FDP – we released our list of the Top 100 Green Influencers of 2012, as well as our interactive bag ban map and more recently our highly successful holiday blog carnival. We have had a great year and we owe this all completely to our amazing customers, our online and offline friends and the great folks who follow us on Facebook and Twitter. Your support has made all the difference and has allowed us help get the word out about the harm plastic bags wreak on the environment. We at FDP hope to continue our success into the New Year. We’re looking forward to expanding the bag ban map and introducing new and exciting features to help spread the message of sustainability and environmental responsibility through the use of eco-friendly promotional gear. 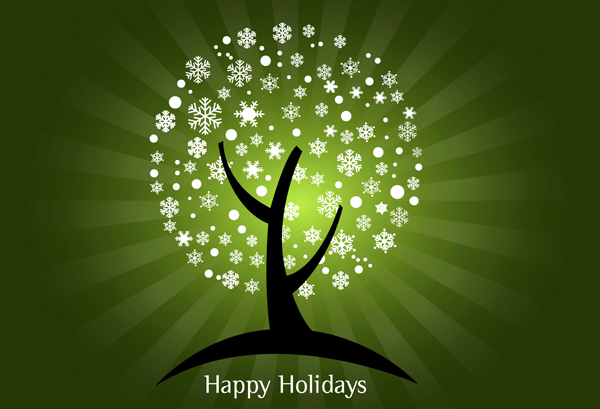 We want to wish the happiest of holidays and an exciting, fulfilling and healthy New Year to each and every one of you. Our success is based on the support of our fans, friends, followers and customers and we are extremely grateful and appreciative of this. Enjoy the holidays with your family and friends and thank you so much, once again, for your support.